Trump Confused About GOP Strategy for Avoiding a Government ShutdownThis time with a tweet about funding for CHIP, a children’s insurance program, which had to be “clarified” by the White House. Ryan Hopes to Avert Shutdown by Funding CHIP and Cutting TaxesThe Speaker hopes to woo Democrats with new funding for children’s health care — and conservatives, with cuts to Obamacare taxes. Orrin Hatch to Retire, Meaning We Might See Senator Mitt Romney in 2019Having the GOP presidential nominee and anti-Trump firebrand in the Republican caucus would be interesting. Why a Government Shutdown Is Looming Again in JanuaryAnother month of GOP rule, another month of stressful and arbitrary deadlines. Delirious December Gives Way to Jittery January As Congress Passes Spending BillCongress has kicked multiple cans down the road to January, but they won’t be able to stall any longer. 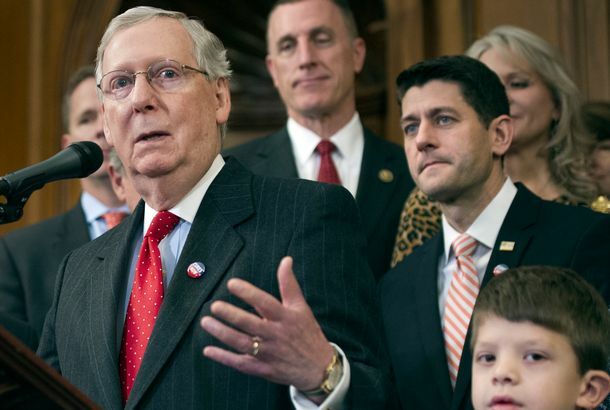 Temporary Spending Bill to Include Temporary Funding for CHIPLooks like Congress will provide relief for the very popular but fiscally strapped program providing health insurance for kids. Baby Billy Kimmel Joins Father Jimmy to Discuss Children’s Health-Care CrisisThe host, who was off last week for Billy’s heart surgery, wants Congress to renew a program that covers 9 million kids. Shutting Down the Government for Dreamers May Be Risky for DemocratsOf all the reasons for triggering a government shutdown, reestablishing DACA protections ranks low in public support. The GOP Has Officially Engineered a Children’s Health-Care CrisisStates are now sending out letters informing low-income families that the Children’s Health Insurance Program might not exist next year. 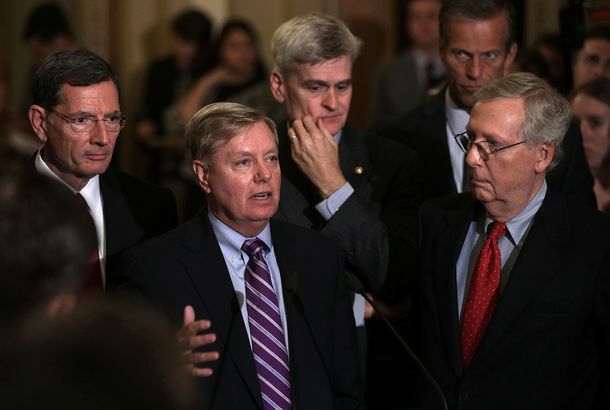 How Republicans Are Trying to Pass the Buck on Health CareThe Graham-Cassidy bill would reverse a long trend toward equality in health-care coverage and force hellish decisions on the states. If Trump Keeps Threatening Government Shutdown, Democrats Will Have Some OptionsNow that the president has put a government shutdown squarely on the table, Democrats must decide if they want a deal, or just a Trump defeat. All the Scary Deadlines Congress Is Facing This FallAfter repeatedly pushing off major undertakings like tax reform and raising the debt ceiling, they’re in for a truly hellish fall. The ‘CHiP’ Promises to Be the Keurig of CookiesIt offers 27 types of ten-minute pod cookies.